Two men are under arrest and another is still on the loose after police say they attacked an Orthodox Jewish man in the Crown Heights section of Brooklyn early Wednesday morning, as was reported by ABC News. Authorities say 18-year-old Navar Walters, 20-year-old Teshon Bannister and an unidentified third man punched and kicked a 51-year-old man on President Street between Albany and Troy Ave, at approximately 1:00 am when the gang of three began targeting Jewish men on the block. 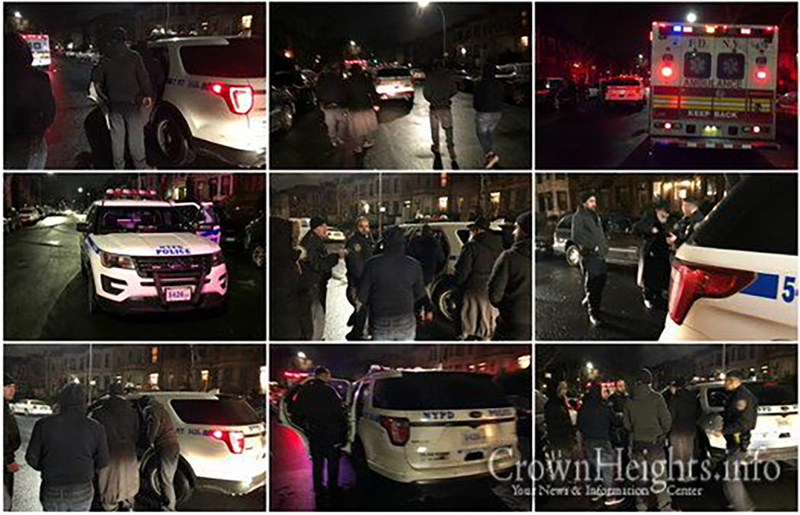 According to a report on the Crown Heights Info web site “their first victim, an older man, was pushed to the ground before being pummeled mercilessly with punches and kicks to his face and body. The beating, caught on video, only ended when the three suddenly broke away and fled. Just a few minutes later, the gang targeted a second man. The second victim was younger, and put up a fight, screaming for help and struggling with them. Witnesses and victims immediately called 911 and Crown Heights Shomrim, who were both there in moments. As they canvassed the area looking for the gang, a group matching the description of the gang was located on Crown St and Troy Ave. When the NYPD stopped the group, they attempted to flee. Two were caught, while the third got away. The assailants were charged with Hate Crimes and Assault by the NYPD Hate Crimes Task Force. The victim was taken to NYU Langone Hospital, where he was treated for minor injuries. Wednesday’s attack was the latest in a series of alarming assaults on members of the Orthodox Jewish community in Crown Heights over the last three months.